This week I continued on my endless pursuit of eating all things pumpkin with two new pumpkin-flavored items. 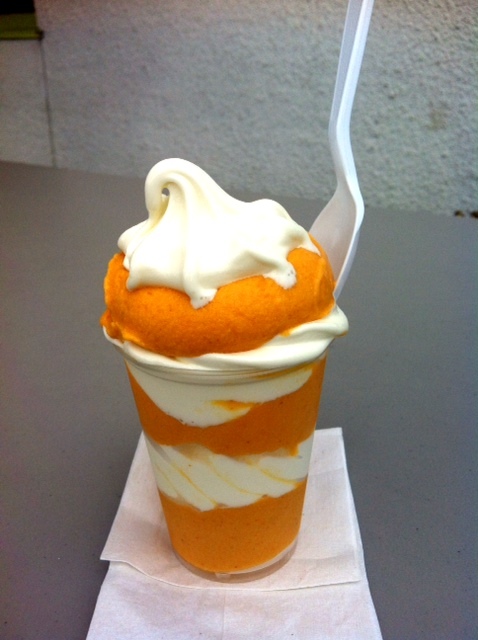 I’m not sure how it is that I have never had Jeremiah’s Italian Ice in Winter Park, FL until Monday, but I’m pretty sure that my decision to eat Jeremiah’s Pumpkin Pie Ice as my lunch righted this wrong. 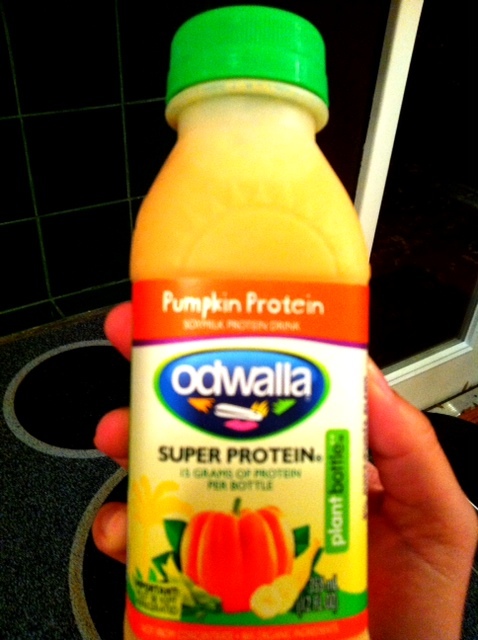 And tonight, I was shopping at Whole Foods when I encountered this new Odwalla flavor: Super Protein Pumpkin. Fall in my protein drink? Yes, please! Where else have you unexpectedly (but pleasantly) been surprised by pumpkin flavors?